Clients can avail machine weft Remy Single Grey Hair from us. Along with being attractive in look, the Remy Single Grey Hair offered by us is tangle free, lice free, dandruff free and shed free. To lighten down the shade of the Remy Single Grey Hair, we make use of high quality grey color. 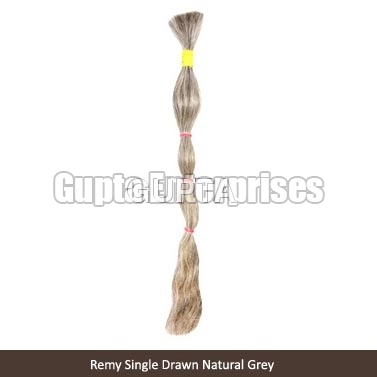 Further, we offer Remy Single Grey Hair in different strand lengths and textured patterns at very nominal prices.